The empty feeling never goes away (hi, Kyla-RIP Dec 2014) but it does diminish over time. Every dog that has been a part of my life has been different. So every loss has been different for me. I know years later I still hurt from the loss. You do not have to look around for a sign. It is the little things that will pop up to let you. It is always when you are not looking that you see. You're not alone. My Tassel went over the bridge in April and there isn't a day that goes by I don't miss her and her little Scottie waddle, her aroo, and her floppy ear. It does get better. Please do remember you gave her an amazing life and she will always be with you. 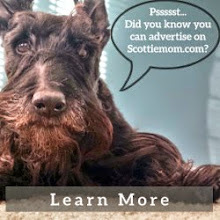 Thinking of you Scottie mom! 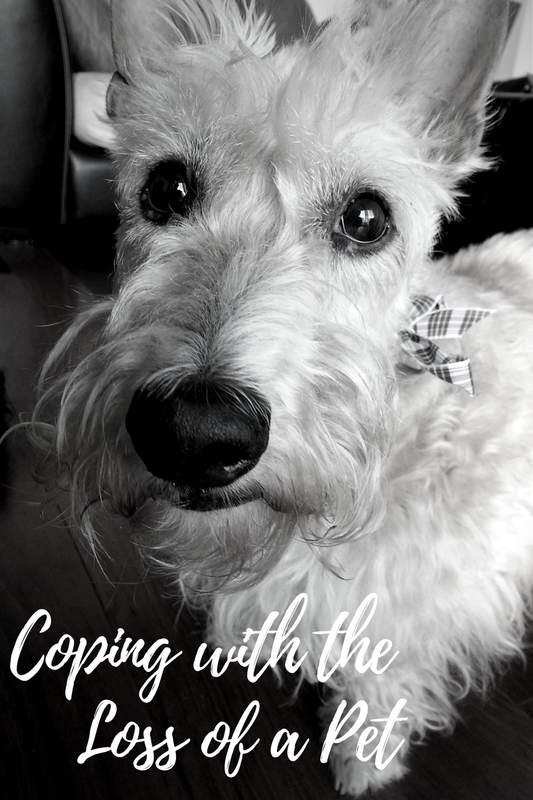 Dear Scottiemom, reading about how you felt the first few hours and days after the loss of your sweet Heather brought me back to August of 2014 when I had to say good bye to my sweet Charlie. No one could have prepared me for the tremendous pain that came with the loss of my best friend, and to this day I think about him all the time. After having a cry reading your latest post I agree with you, the loss is unbearable. It's hard to fathom how your heart can hurt so much but it still keeps you alive at the same time. It's cruel. We are here for you. And so are your other three beautiful babies. I agree with Bentley it is the little things. But sometimes it can be a big thing to you. One year to the very date of Lee's last Scot passing she woke up to find this perfect shaped heart mark on her right arm where he always rested his head while she read or watched T.V. It looked as if she had been tattooed. Lee went to her dermatologist immediately who had seen her the month before for her annual skin cancer checkup. The dermatologist had never seen anything like it and called in her other two associates to see it. Understand the crying jag, taking time out to just cry it out. Luckily, the other dogs were comforting. They seemed to know. Oh Scottie Mom, I feel your pain and loss. There are no words that can soothe your grief. Your post brought me to tears and like others have expressed, the absence is unbearable but the sickening sadness lessens with time.. I lost my Scottie in June and still have a hard time going into my yard and garden where his nesting spots are still there. One thing that makes me feel better is to know that another little dog will come my way at some point in the future. 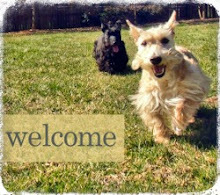 I live alone and the company and love of a Scottie or any animal friend, can not be surpassed. Blessings are coming your way.